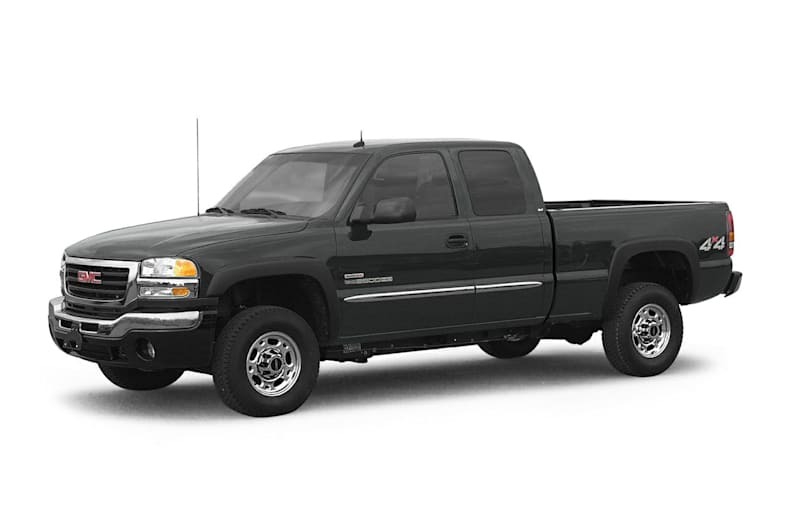 The GMC Sierra is nearly identical to the Chevy Silverado but features more mature, restrained styling. It's a look that reflects GMC's history of building trucks, and only trucks, that dates back to 1902, nearly a decade before Louis Chevrolet produced his first car. GMC also offers more options than Chevrolet, including the luxurious Sierra Denali, a suave, uniquely styled, ultra-luxury pickup whose exclusive features include a high-performance 6.0-liter V8 and full-time all-wheel drive. Denali appeared in 2002 as an Extended Cab pickup; for 2005, GMC has transformed Denali into a Crew Cab with four full-size doors. GMC continues to offer light-duty 1500 Crew Cab models in SLE and SLT trim. With their 5-foot, 8-inch cargo box, Sierra Crew Cabs are no longer than standard-bed, extended-cab models for easier parking and maneuverability. Crew Cab models offer a rear-seat DVD entertainment center as an option, making these pickups an attractive alternative to a full-size SUV. At any trim level, and with any cab configuration, Sierra offers first-class hauling and towing capabilities. Extended Cabs, with their standard 143-inch wheelbase and optional Quadrasteer four-wheel steering and heavy-duty brakes, make supremely stable tow vehicles, with towing capacities up to 9,000 pounds. The 1500HD Crew Cab, which returns for 2005 after a one-year hiatus, can tow up to 10,200 pounds. Even the plush Denali tows 8,100 pounds. Yet all Sierras deliver a smooth, comfortable ride among the full-size pickups. Even compared to more recently introduced or re-engineered pickups from Ford, Dodge, and Nissan, the Sierra rides and handles very well. Sierra's current design dates from 1999, but it was significantly refined and updated for 2003, with cleaner engines, a bolder exterior appearance and more comfortable interiors.